Is there a small scale wholesale source to buy Lanaset dyes in Europe at competitive prices? I am helping my mother expand her silk dyeing business, and I would like very much to try and switch to Lanaset dyes, which seem to be less time consuming and more washproof than the ones she is using now. Would you be able to point me in the direction of a small scale wholesale source to buy Lanaset dyes in Europe at competitive prices? Or are these not worth the while to dye large quantities of fabric, and if so would you have another suggestion for us to improve in quality while saving on time and expenses? Lanaset dyes are among the most washfast of all dyes for wool and silk, but they are difficult to find in Europe. Town End in the UK sells quantities of at least five kilograms of each dye color, but not smaller packages. To experiment with smaller quantities, the only sources I know would be by mail-order from a supplier in North America or Australia. 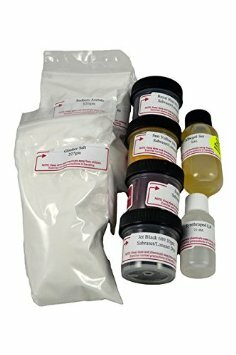 PRO Chemical & Dye is an excellent source in the US for ordering dyes internationally and probably has the best prices you will see; Kraftkolour in Australia also sells Lanaset dyes in small or large quantities. See my page, Sources for Dyeing Supplies Around the World, for contact information for ProChem and Kraftkolour. 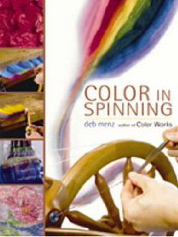 Other highly washfast dyes for wool and silk include the Remazol dyes, which, like some of the dyes in the Lanaset line, are fiber reactive dyes. 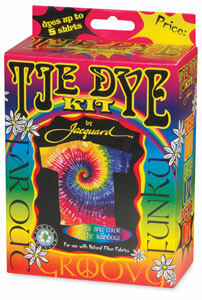 These are excellent both for silk painting and for immersion dyeing of silk. They can be applied to wool or silk in hot dyebaths with a bit of mild acid, or they can be painted or printed onto silk and set by steaming; the steaming stage requires less time for Remazol dyes than for most other silk painting dyes. See my page about Remazol dyes for description and for links to recipes for using these dyes for hand dyeing wool and silk, among other fibers. Remazol dyes are manufactured by Dystar, which will sell large quantities (minimum order 5 kilograms); contact their main office in Germany. Remazol dyes are also available in smaller quantities, under the name Concentrated Vinyl Sulphon dyes, from some retailers of Jacquard Products (there are several of these in Europe), and as Granat Remazolfarver from the Danish dye suppliers Granat Farvekompagniet. This entry was posted in sources for supplies on July 17, 2014 by pburch.